I was hooked by the opening lines. By the time I had completed the introduction, I knew this would be a book that was raw, honest, passionate, and true. A book that would reach in and touch my soul. Shake me up. Wake me up. I am an artist. A creator. This book was for ME. Michael Gungor is the head of the musical collective Gungor; in my opinion one of the most talented groups I have encountered. The music comes from their souls and you can tell. In his new book, Michael opens his heart and shares stories about his growth and struggles throughout life that have molded him into the artist and musician he is today. As he does with his music, Michael Gungor captures his soul, wraps it up with words, and speaks into existence something beautiful. Something alive. Creative. Breathing. He reminds us that we will never be the person God intends us to be if we are constantly trying to please people and create what they expect us to create. We need to be less concerned about what people think and create what comes from the soul. Only then will we be satisfied and only then does the art truly come to life. Everyone should read this book. Especially every creator. Every artist. How refreshing a place this world would be if all artists created things the way that Michael Gungor approaches his art. How unique and beautiful. Perhaps we wouldn’t pass through life without noticing. Without appreciating all the beauty around us. If all art were filled with soul, if all art were living and breathing, it would be impossible to ignore. 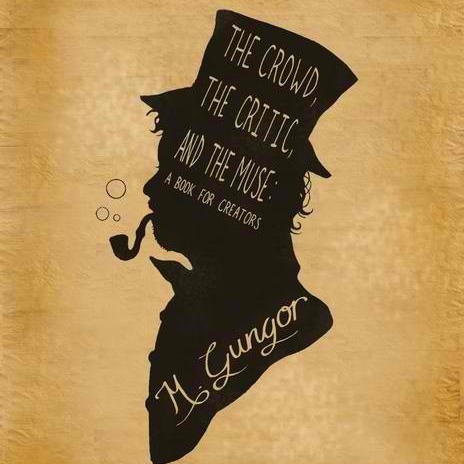 One last thing, I am really looking forward to Gungor coming to Kansas City October 27th at Westside Family Church. If you are in the area make sure to be there! It will be a concert you don’t want to miss!